According to the mayor of Tangier, Mohamed Bachir Abdellaoui, the initiative plans to put in place "the necessary means to adopt a more humanistic approach, to find a solution to the problem of stray animals,"
Under this convention, "The Tangier Wildlife Sanctuary" undertakes to organise campaigns to sterilise stray animals in the territorial jurisdiction of Tangier. The association will also be in charge of controlling their food and treating them, as well as organising, in partnership with the National Office for Food Safety (ONSSA) and the health service of the municipality, vaccination campaigns. against rabies. Tangier city will provide a grant of 300,000 dirhams to the association. It also undertakes to provide a space for the reception of these animals, to cover the costs of sterilisation and medical treatment. Ahmed Tazi, president of the Association for the Defense of Animals and Nature (ADAN), says "The aim is that this pilot program shoud be extended to the national level". Last October, the city of Rabat took a first step in this direction, through the establishment of a pilot program of for the canine and feline population, in partnership with ADAN and the Association Network for Animal Welfare and Sustainable Development in Morocco (RAPAD). It included sterilisation, vaccination and identification of stray dogs and cats in the streets of the capital. "We are in the process of mobilising the services of the Ministry of the Interior, ONSSA, the Order of Veterinarians and the Wilaya to ensure that this pilot program is successful at the national level. But it must be done professionally. That is to say, through a human and ethical capture of animals in order not to traumatise them, "warns Ahmed Tazi. "It has been more than thirty years since the Moroccan authorities killed stray dogs. Have we succeeded in eradicating zoonoses (infectious diseases that can be transmitted to humans by animals and vice versa, such as rabies, plague or tuberculosis, editor's note? No never. So the solution is not there! ", Ahmed Tazi argues. 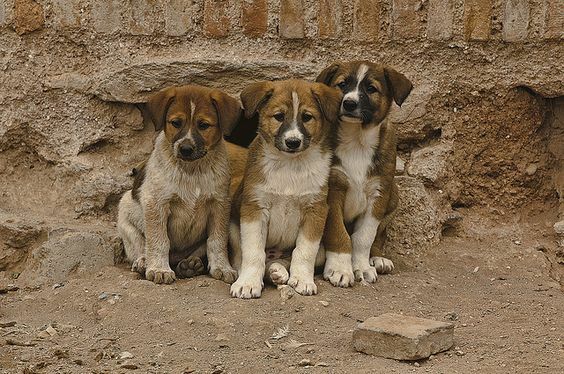 Ahmed Tazi says, we must sterilize, vaccinate and release stray animals: It remains the case that rabies in Morocco is relatively low, although it is difficult to estimate because no statistics are available. It is thought that there is an annual average of around thirty cases of human rabies in the country.